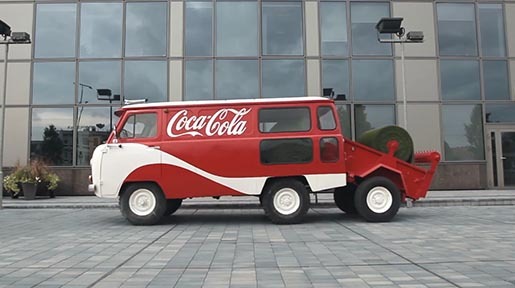 Coca-Cola has rolled out a suburban park in Lithuania as the latest expression of the “Where Will Happiness Strike Next?” campaign. 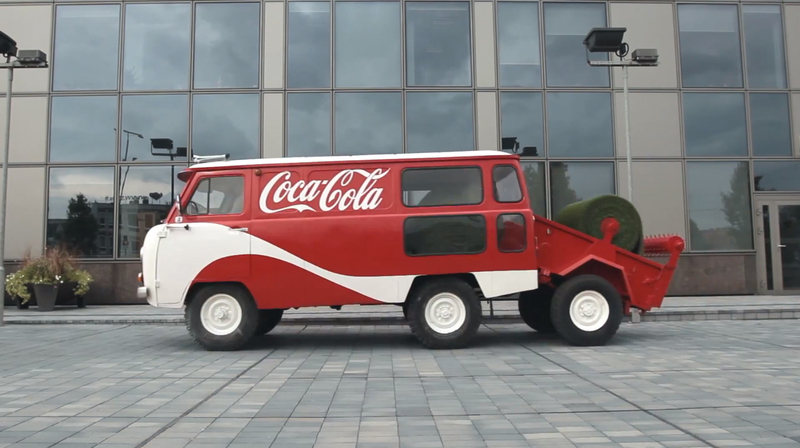 A Coca-Cola truck rolled out turf, trees and special vending machines to transform Europa Square in Vilnius into a lush, green park. With nothing but the instructions to “Take Off Your Shoes To Open Happiness” – the vending machines rewarded those who did with not only the feeling of fresh grass underfoot, but a refreshing bottle of Coca-Cola. 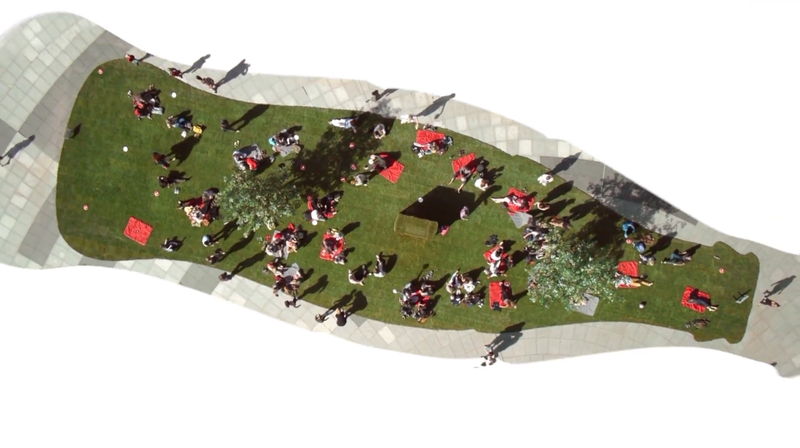 Passersby were encouraged to go barefoot in the grass, surrounded by picnic baskets, kites, frisbees, dogs and guitars. 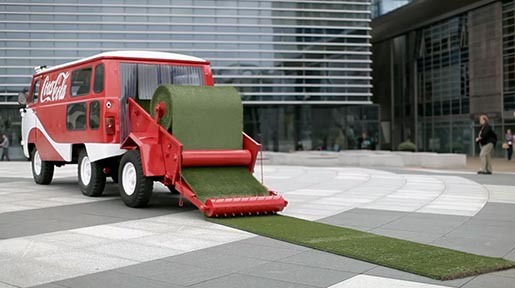 The turf used to create the temporary park will be donated to a local children’s home in Vilnius. The Roll Out campaign was developed at Wieden + Kennedy Amsterdam by executive creative directors Mark Bernath and Eric Quennoy, creative director Edu Pou, art director Max Gebhardt, copywriter Max Arlestig, head of production Erik Verheijen, agency producers Judd Caraway and Lars Fabery. Filming was shot by director of photography Clemens Baumeister via Brenninkmeijer & Isaacs, Amsterdam, with executive producers Sander Brenninkmeijer and Jelani Isaacs, producer David Leite, production designer Martin Krejzlik and line producer Gerda Serbentaite at Grandma. Editor was Benjamin Putland at The Gentlemen’s Club. Post production was done at Darlings by VFX supervisor Robert Okker and colorist Robert Thomas. Audio post production was done at Audentity, Amsterdam, by sound designer/mixer and composer Niels den Otter.